To be a hero to the left, it seems, one has to be an amoral lech who exploits others for personal gain. Men like Marx, Che, Ed Kennedy and Hillary fit this mold, and so does Rousseau. In fact, Jean-Jacques Rousseau is one of the first progenitors of this tradition. 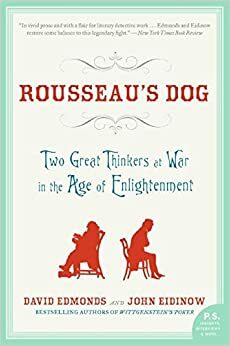 (for more on what kind of man he was see the suggested book on Rousseau’s life, and his interactions with the great David Hume located at the bottom) Of course, his dysfunctional personal life is not what he is famous for, he was without a doubt a man with ideas. To understand Rousseau’s ideas one has to understand the time in which he lived. He, like much of Europe at the time, had an idealized view of the American Indian. Many saw the tribal society of America’s native populous as idyllique, including Rousseau. 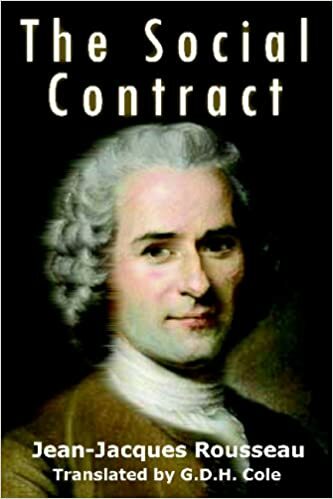 On the Social Contract was Rousseau’s vision of creating a modern European society based on the society of primitive man. In his work, he creates a new definition of liberty that he calls Civil Liberty. In Civil Liberty one is bound by social contract to the group in order to enjoy its bounty and protection. In his words; “what man loses by the social contract is his natural liberty, and unlimited right to all he gets and succeeds in getting; what he gets is Civil Liberty and proprietorship of all he posses.” In short, “natural liberty” must be sacrificed in order to enjoy the blessings of “Civil Liberty.” Thus, the term liberty came to have two meanings, each the polar opposite of the other. Civil Liberty in practice is nothing more than reducing the individual to a mere slave of the state. To be more precise, a cell of the societal body. The heart and soul of a society to Rousseau is its government. Sub-groups are both subservient to it and tools by which it unites society. While government, by social contract, has responsibility to society as a man has to his own body, it demands all its parts serve the whole. As for individual men and women, Rousseau makes it quite clear where they stand. In his book he explains that if the state tells someone that “It is expedient for the State that you should die,” he ought to die.” Shed from the societal body like dead skin or a toenail. In Social Contract one can see the seeds of Marxism and the germination of the modern totalitarian state. On the Social Contract marks the origins of much that the left holds dear to this day. The guillotine that kept the blood of thousands flowing in the streets of Revolutionary France should of had Rousseau’s picture plastered above it, for he placed it there as surely as if he had erected it himself. Pol Pot, Stalin and even Hitler can be found hiding in the lines of this book, but so can Roosevelt’s Four Freedom speech and the foundations of the modern welfare state. Understand Rousseau’s ideas, and understand much of who and what the left is today.